Chicago Children’s Theatre’s board members, staff, artists, and supporters will join city officials on Saturday, Dec. 12th at 10a.m., at a groundbreaking ceremony for the company’s new home at 100 S. Racine Ave., in the West Loop neighborhood. “After ten years of staging our productions and educational programs at museums, theaters, and other venues throughout the city and suburbs, our new home will provide CCT with a solid foundation to engage, inspire, and serve all Chicagoland families,” said Chicago Children’s Theatre Co-Founder and Artistic Director Jacqueline Russell. The ceremony will officially kick off Phase One of construction the existing building into an open, inviting cultural destination including a flexible studio theater, classrooms and supporting spaces. Phase One is targeted to be completed by early 2017. Phase Two will be the addition of a new, state-of-the-art, 299-seat mainstage theater and other supporting spaces. Phase Two is slated to be completed in 2020. 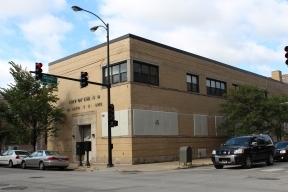 In the interim, Chicago Children’s Theatre will continue to present its productions at its current performance home, the Ruth Page Center for the Arts, 1016 N. Dearborn St., in the Gold Coast neighborhood. For more information, visit www.chicagochildrenstheatre.org.